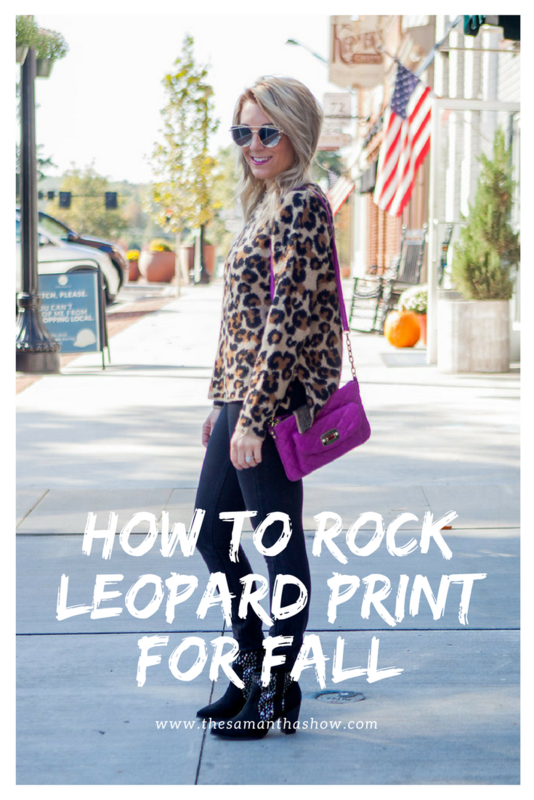 Honestly, I wasn’t sure I could get down with the popularity of leopard print again. Maybe it’s because I was OBSESSED back in the day and wanted everything leopard print. My room was even a jungle theme for a hot minute and I was all about that leopard life. But it’s back, so I wanted to attempt to embrace it. I received this sweater from Evereve so I decided to give it a try and style it. And I have to say, I actually love how this outfit came together. I muted the boldness of the sweater by pairing it with a bright purple bag and black skinnies with black booties. Totally an outfit I would wear on the weekends (once the weather finally decides to cool down). Start with accessories. Wear neutral colors and pair it with a leopard print clutch or pair of flats to add just the right amount of it to your outfit. Experiment with different sizes. I prefer a larger print over smaller one, but that’s my personal preference. Try on a few different patterns and decide for yourselves! Try different textures. Do you like the look of the pattern on cotton? Or suede? Or denim? In my opinion, some pieces look cheap and some look classy so you need to find what appeals to you and shop around. Tone it down. 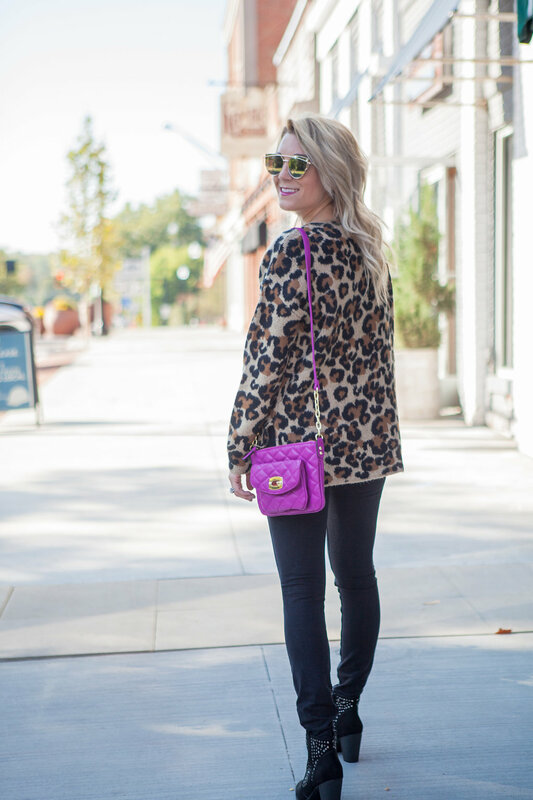 Too much leopard? Break it up! Throw on a blazer over a romper or a neutral belt to break up a dress or tunic. Be confident! 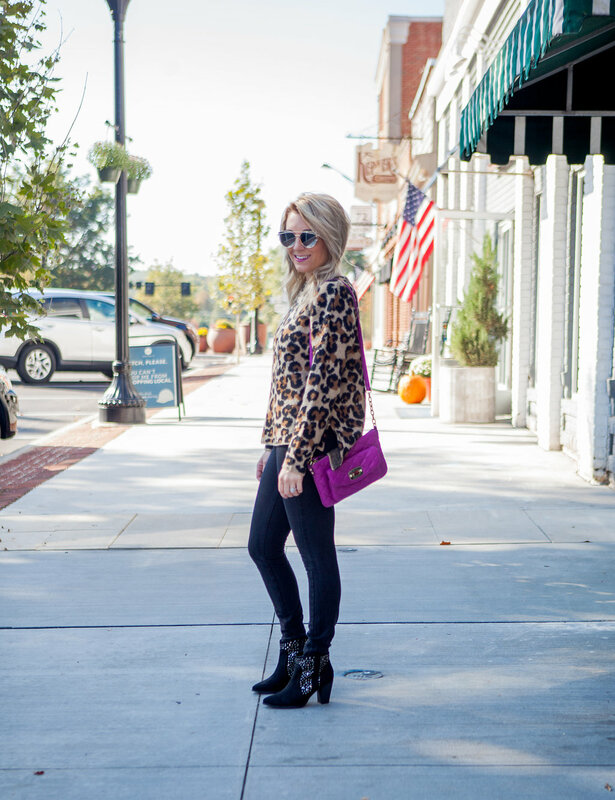 You should feel a little sassy in your leopard print so radiate through your walk, stance, posture, and attitude. You got this, girl!